You will be asked to complete a form and provide copies of the above documents. You will then be issued with a social security card. You will need this card if you phone the health centre to make an appointment, and for any visits to your GP. Chemists are easy to spot because of their distinctive green neon sign in the shape of a cross (flashing when open). 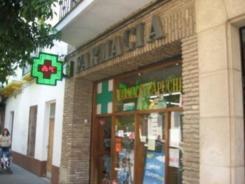 Farmacias (as they are called in Spanish) sell medical items for which you often don’t need a doctor’s description. Chemists ‘take turns’ to stay open late / 24 hours. A list of the chemists open late / 24 hours for any specific date can be found displayed at your nearest chemist’s. Call 061 or 112 for an ambulance. The main public hospitals can often be some distance away. * You should always consult a doctor before taking any medication, including the medicines listed above.